SKU: RS001-1. Categories: Body, Gifts. 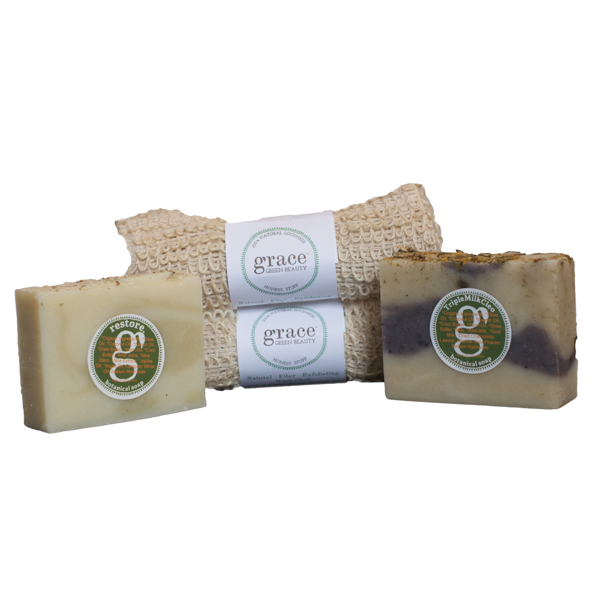 Choose between our two famous botanical soaps; TripleMilkCleo or Restore + Natural Fiber Exfoliating Washcloth. 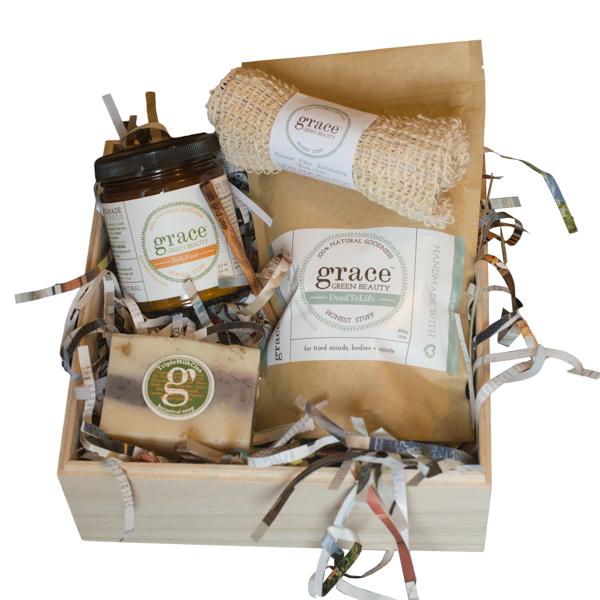 Both soaps are created from the most nutrient rich ingredients + possess amazing moisturizing + regenerative properties. 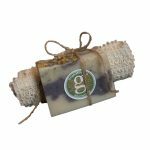 Combine this with our raw cotton exfoliating wash cloth for a luxurious gift that anyone would savor. 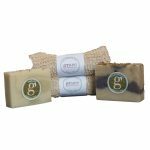 TripleMilkCleo Botanical Soap: Formulated to be gentle, calming + moisturizing with a creamy lather. 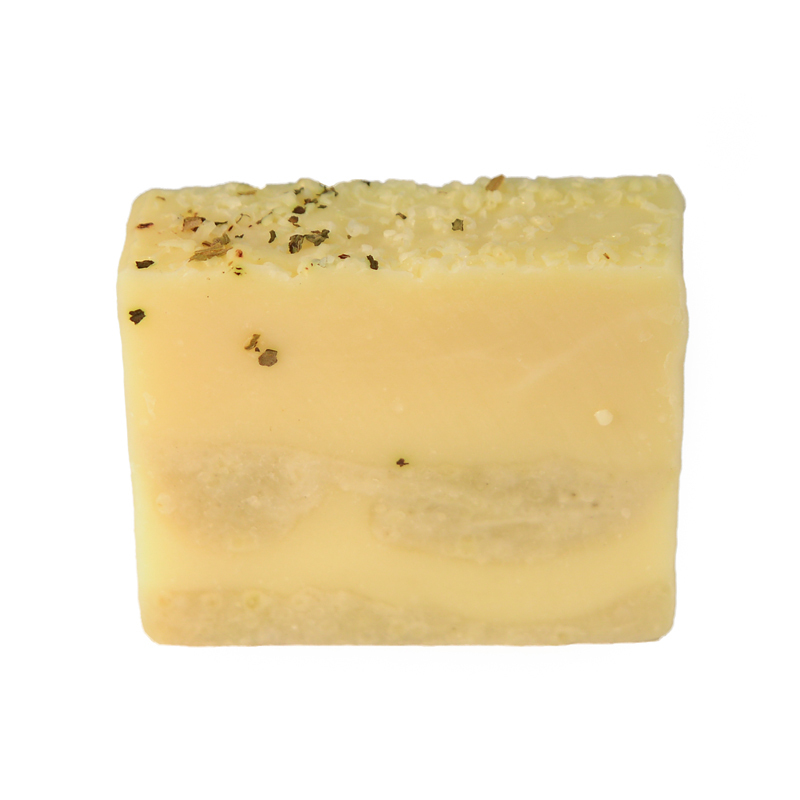 This luxurious bar of soap employees Cleopatra’s best kept beauty secret. Milk! 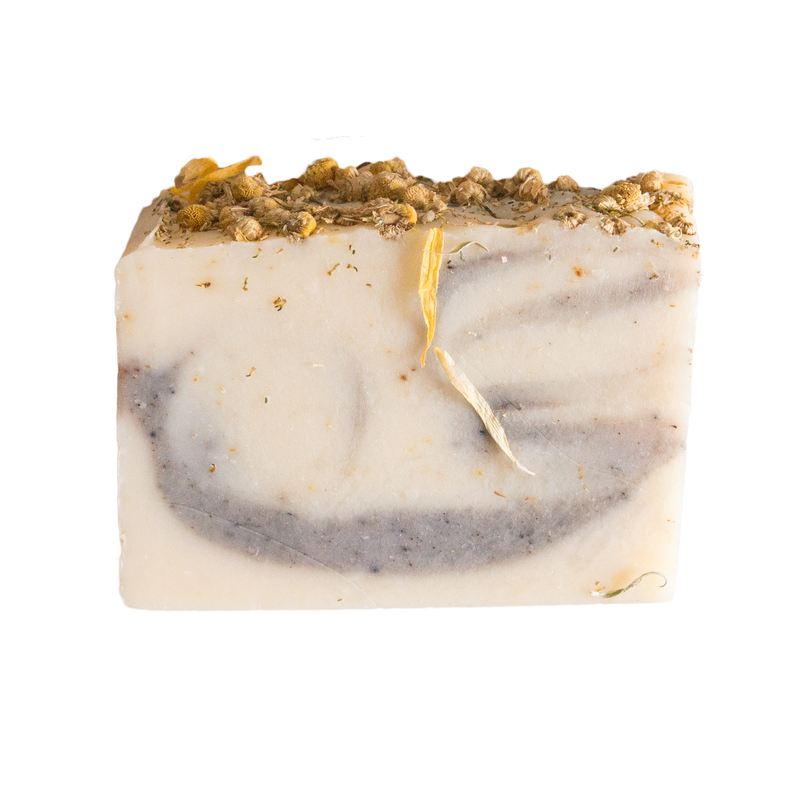 Three organic milks combined with calming chamomile, and a plethora of magnificent oils + raw butters. Reap the many benefits of Triple Milk Cleo Botanical Soap. 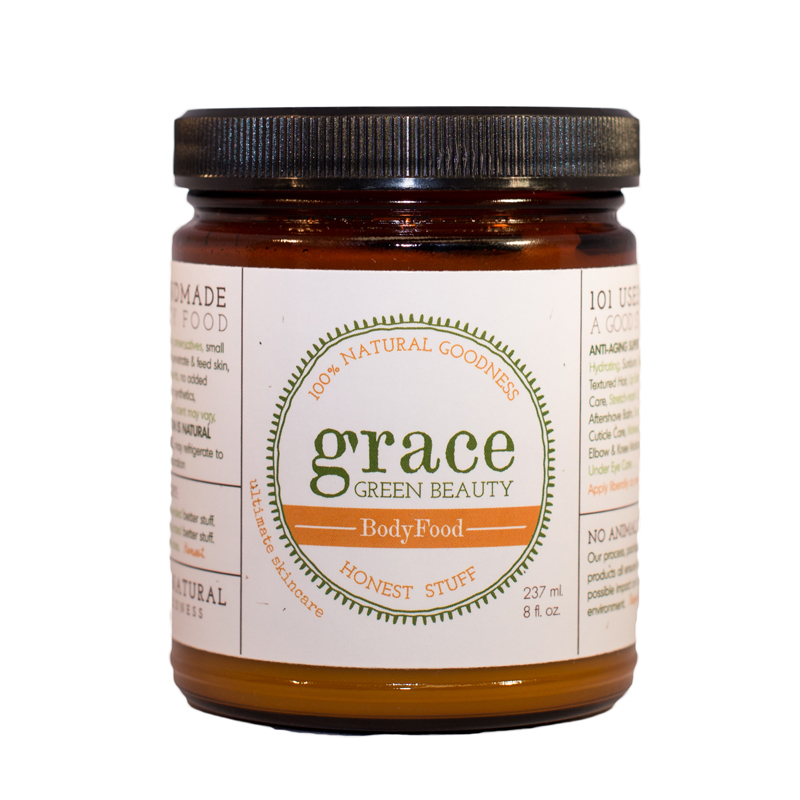 Relax your mind, restore your body and spirit while gently cleansing and supporting beautiful skin. 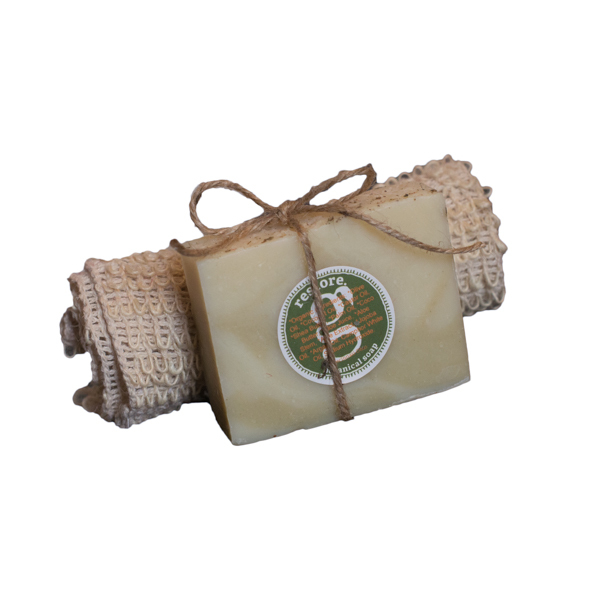 This is real, botanical soap. Restore Botanical Soap: Cleanse your skin while restoring its vibrancy. 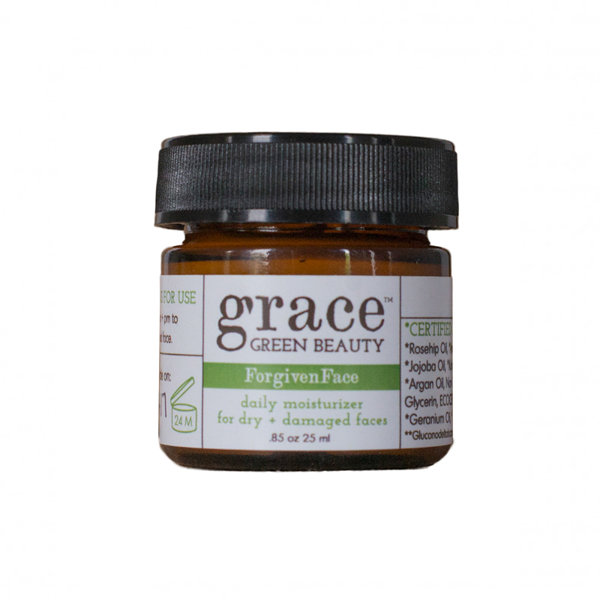 The clean, scent of aloe vera, along with cocoa butter + essential oil camphor, will surely relax your mind + restore your body & spirit. 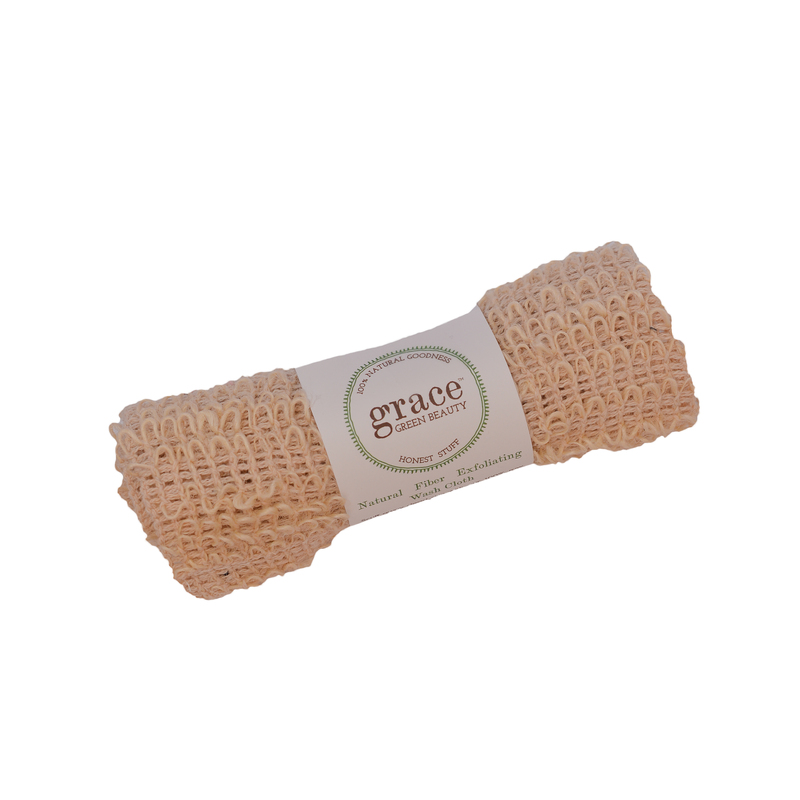 Natural Fiber Exfoliating Washcloth: Scuff away dead skin with our 100% raw cotton fibrous cloth. Exfoliating is crucial to have beautiful skin. Doing so removes dead skin cells and uncovers fresh new cells below. 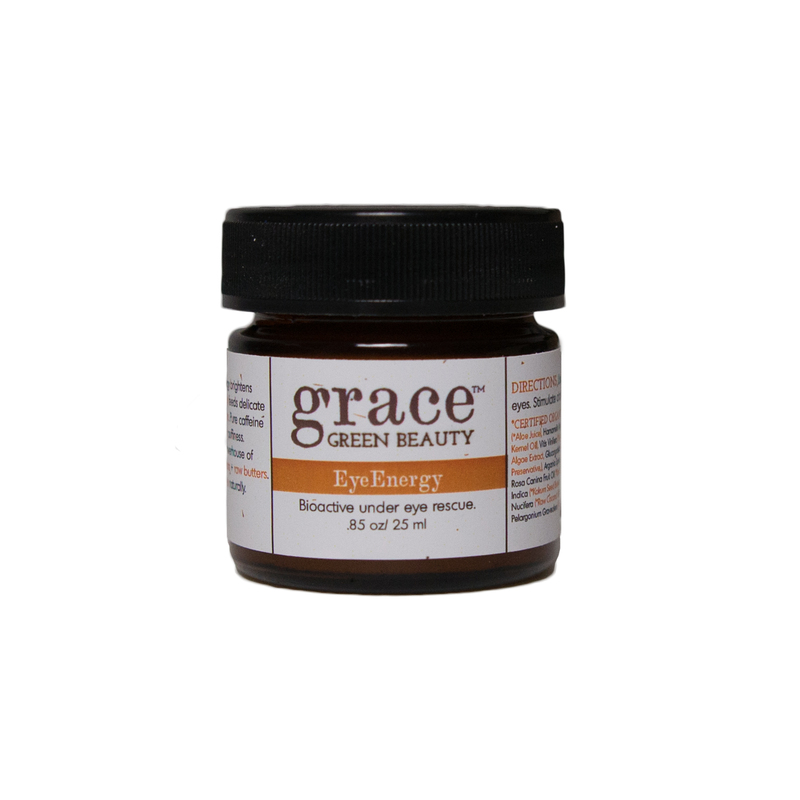 This opens the way for moisturizing products to penetrate more deeply into the skin, which makes them more effective.